PIRANHA ….. FROM UNITED STATES …. PIRANHA was a vision of Tracie Radermacher (bass) – a small town girl from southeast WI. With the help of founding Member Adam Easterbrook (skins), the vision soon melded itself into what has become a mid west powerhouse in raw riffs, body slamming beats & broken necks. With their 2013 release ‘Too Bad They Multiply’ – Ryan Boyd (axe) & former front man Benjamin Nichols were able to capture one of the most powerful displays of raw emotion the band had ever laid on tape. With tracks ‘Everything Falls’ – and the fast paced ‘Turtle’ – ‘Too Bad They Multiply’ saw moderate success up until the departure of then frontman Benjamin in late 2013. Picking up right where Benjamin left off – enter Jesse Maloney (vox), who joined PIRANHA in November 2013 – shifting the band in a new direction of simplified, post grunge inspired screams, skats & vocal drops. 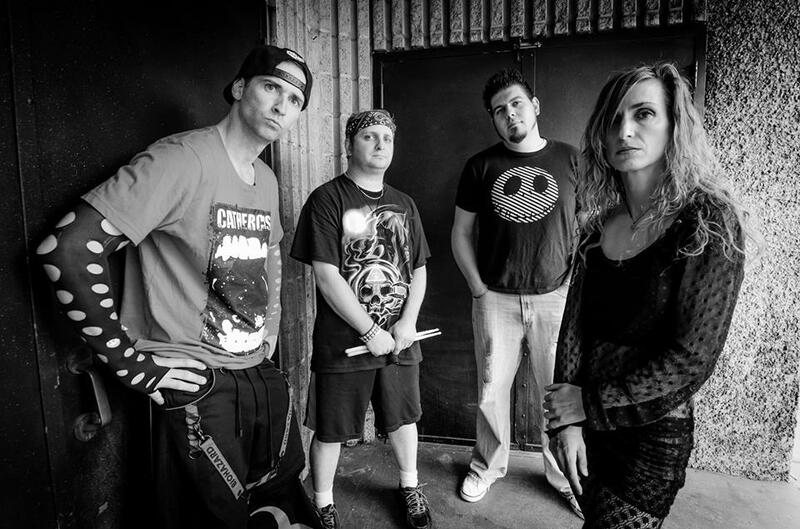 (their newest creation releasing March 2015) – and found themselves sharing bills & venues with some of their idols in Wayne Static (Static X), Sevendust & GWAR throughout late 2014. 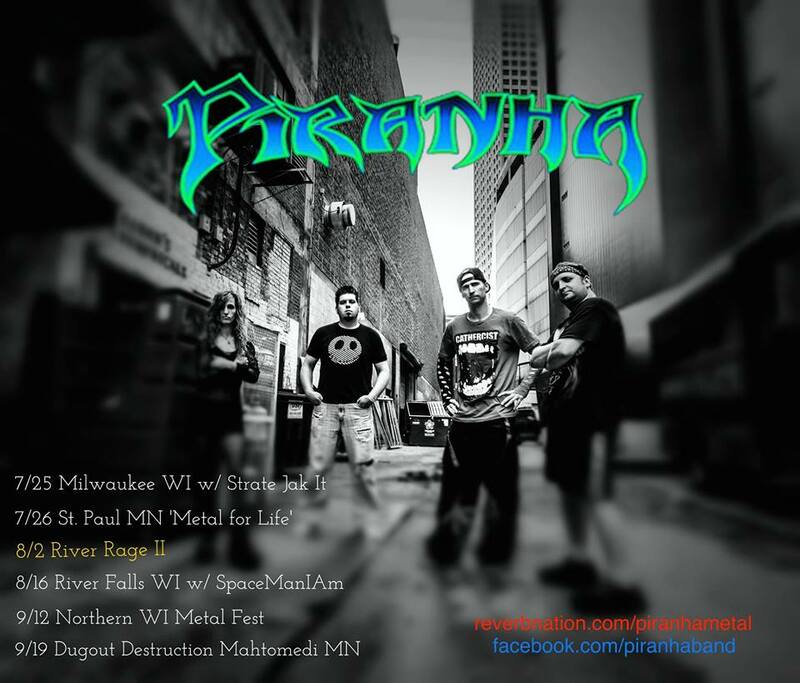 – PIRANHA is currently prepping for a 2015 tour to support their EP ‘JUNK PUNCH’ with stops scheduled throughout the Midwest.